Safety Reminder: As it states at the beginning of the video, always assure that the revolver is unloaded. Excellent video, thanks to Pinetor for putting that together. That was an excellent video Pinetor. Thanks for the time you spent in making it. Thanks for the great video Pinetor. I have to also say that is a very nice chest of drawers. First let me thank the sticky (FAQ) on barrel removal. It aided me greatly in removing mine. I recently acquired an 8″ version and promptly stripped the barrel nut. The gun had not been fired in over 10 years. I read the barrel removal closely and tried to make it a better mousetrap. I’m an aerospace engineer and not fond of vise grips on all thread so this is what I did. Mcmaster Carr parts: One 9″ long 5/16-18 steel bolt #91257A122, bag of small diameter flat washers #95229A460, and one bag of small hex nuts #94191A200. Total cost $21.72. I figured using a hex nut in the cylinder area would allow me to add torque during the loosening attempt. Not a lot of wrench clearance. No go. To tight. Then I added another nut (jam) and tightened everything as much as I could using a soft jaw vise. Next I heated the frame with a heat gun until I saw some bubbling around the threads in the cylinder area. Using all my hand strength, no go. So I said a few choice words and brought out the 3/8 butterfly impact wrench to put on the hex head on the end of the barrel. Just hit it a little bit and boom that bad boy came right off. After pulling the barrel from the shroud do you know that barrel nut came right off by hand? Go figure. Anyway my first post here and I thought I would pay it forward for the initial help I found here. 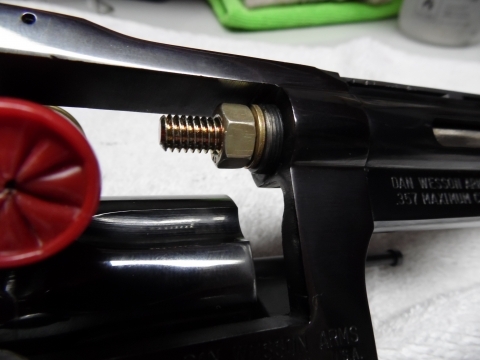 I tried this removal method on my .357 SuperMag and 10″ barrel after the retaining ring notches were stripped while attempting to remove the barrel. Unfortunately for me it did not work. Too tight. Off to the gunsmith it went. 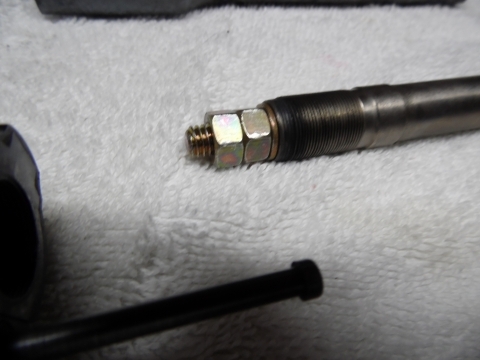 1) Applied anti-seize grease to the barrel and lock ring threads. 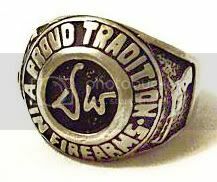 2) Avoid tightening the lock ring when the barrel is hot from shooting. 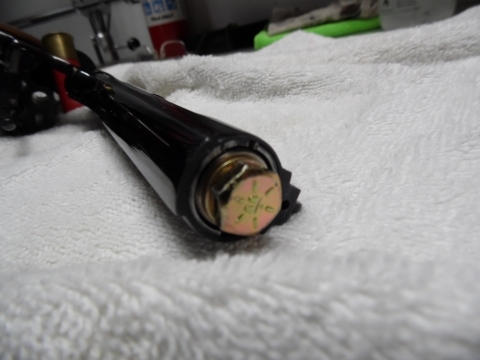 This is the main reason my other gun seized up. 3) Added a Muzzle Brake from EWK arms which means the barrel is locked in with the baffle inner piece instead of a lock ring. The baffle has a wrench with much more leverage and is impossible to strip. 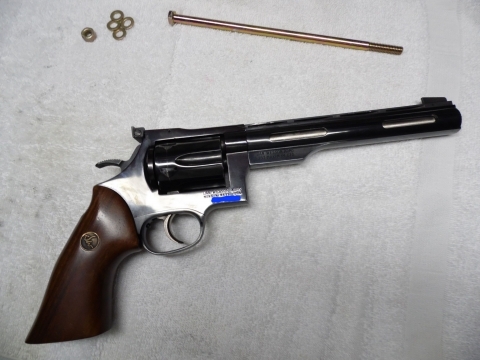 I will also add a brake to my other gun once it has returned from the Smith.